What can Rs 8000 get you in the Indian smartphone market? LYF Water 7S. This LYF mobile phone comes recommended at this pricing because of the specifications it comes with. There is a 3GB RAM and 16GB internal storage with support of expansion up to 64GB via microSD card slot. With a full HD resolution display of 5.5-inches you get best viewing experience. 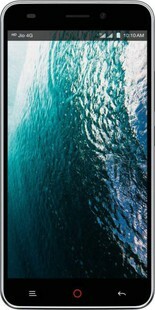 LYF Water 7S specifications includes a MediaTek Octa-core processor, which has a 1.3 GHz processor. If you are concerned with a camera department, it has a 13MP rear camera and 5MP front camera. All this is powered by a 2800 mAh capacity battery, which should be sufficient considering there is Android 6.0 Marshmallow OS based interface on this handset. LYF Water 7S full specs and reviews as of Apr 2019. Buy it here!